Over the years I have had numerous posts on Saudi Arabia - and a vast majority of them have been unflattering. Much of it justified as many of these posts have been critical of Saudi government's handing out of death penalties for petty things as well as for laws against women (yes - women still cannot drive in Saudi Arabia and need a male guardian's signature to obtain a passport). But then there is some good news as well. About a year ago, a 25-year old medical student, Muath Alduhishy, started up Scientific Saudi and now its team has expanded to 6 members. Out of a population of 26 million, Saudi Arabia has 6 million Facebook users and has the second-highest ratio of internet users per population in the Middle East (after Iran). Therefore, there is enormous potential in Scientific Saudi. 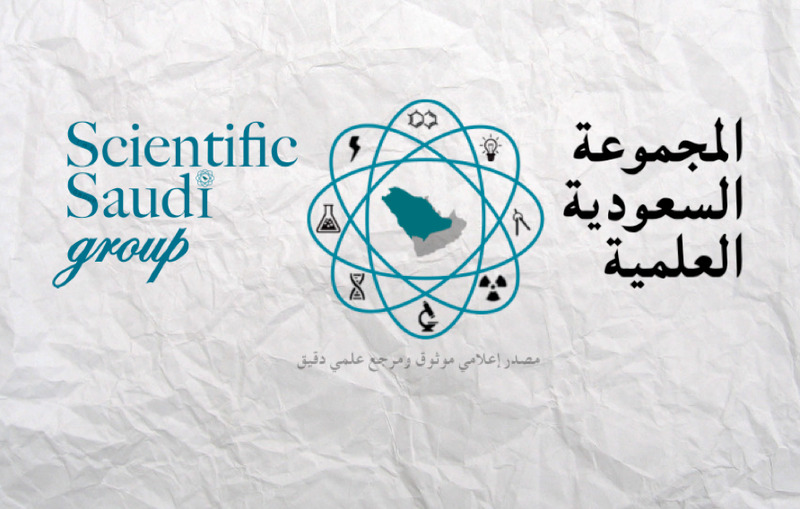 1) How did the idea for Scientific Saudi come about and how long have you been online? The idea of Scientific Saudi started over a year ago, when I noticed the high prevalence of English-speaking scientific groups in the social media, namely Facebook, while I couldn’t find any in the Arabic-speaking world of Facebook. 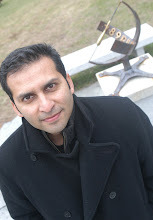 However, there are plenty of pseudoscientific groups, which in lieu of providing updated, credible and verified scientific articles and news, they broadcast common factoids that have been circulating the internet since its establishment or, in other cases, they are religious-oriented groups that uses science as a means to support their spiritual believes. I couldn’t find any credible Arabic-speaking group that’s passionate to communicate science purely for the sake of educating and informing people about the astonishing and mind-blowing advances and breakthroughs that happen every day in the research centres and universities, as it was the case with the numerous English-speaking scientific groups that I’ve come across, albeit I did found a couple of amazing Arabic scientific groups later on, but they are extremely scarce and have negligible impact in terms of the quantity of fans. At this moment, I realised that it’s my duty to bridge the gap, or at least to attempt to do so, due to the fact that I have always been passionate about science and I’ve been nurturing my passion for years through listening to scientific shows and podcasts and subscribing to scientific publications, such as your sister science publication Scientific American, hence the name Scientific Saudi. I started the group by myself as a Facebook page at the end of July 2012. It was just an ad hoc step. I had no grand plan or long-term strategy at that time. I had this idea for a while so I wanted to do something about it. From the first day, I made a pledge to myself to distinguish my page by not publishing anything without a credible, and, where possible, peer-reviewed reference, and to preserve the intellectual rights of any materials or persons presented in the group. I know it seemed a bit extreme and overly ideal commitment, especially that I publish new posts every day, but I did strictly adhere to it and still do, with a few exceptions. Also, I request from every contributor to adhere to this golden rule of mine. Today, we have pages on Facebook, Twitter, Instagram and YouTube as well as an official website. We have over 30,000 followers in the aforementioned social networking websites, which is still a considerably scant number compared to the overwhelmingly ubiquitous religious, celebrities and trivia pages. 5) I see you have several articles on Darwin and evolution – topics that are often thorny in the Arab world, and might be especially so in Saudi Arabia. How do you handle these topics? And has there ever been a backlash against you for your coverage of these topics? This is a good question, I have to say. However, before I answer it, you should know that we are committed to not discuss religion or politics in our published work, which is really an unprecedented proposition in the Arabic-speaking world. Most of the Arabic scientific speakers and communicators, albeit they are few, have strong religious tendencies. I, myself, have no problem with that at all, but the problem is that many of them handle scientific theories that might contradict with their religious views with an unscientific mentality. I was listening the other day to a highly regarded scientific communicator in the Islamic world talking about Darwin’s evolution theory as if it was a ‘conspiracy’ to dehumanise people, and that it has no plausible scientific basis. He clearly has no clue how significant is the evidence that supports this theory, or at least he appears so. Now to answer your question, yes, we do care greatly about scientifically and objectively explaining such major theories that shaped our current knowledge of the world. Darwin’s theory of evolution, in particular, is supported by a significant amount of evidence from different fields of science, and that’s what we care about here as a scientific group. Of course this means we will deal with a backlash from some of our readers, and we did, but we are still willing to answer every inquiry they have about such theories without judgment or reject. In fact, we have witnessed people who strongly disbelieve that humans have ever passed the stratosphere, others think that the big bang theory is just an absurd lie, and some who think that stem cells technology is a myth. If we are afraid of any backlash in the group, then we should quit science. However, it should be noted that if an opponent of any theory of science brought a plausible scientific evidence against it, then we are willing to adopt the evidence without hesitation. In short, science is our language in this group.